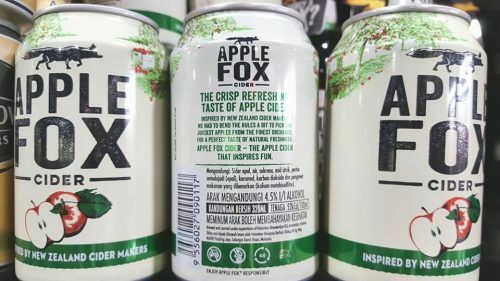 Heineken Malaysia Berhad, known for its Strongbow cider, is introducing a new cider – Apple Fox from New Zealand and domesticated in Europe. Also known as Orchard Thieves, “it’s as sly as the fox and thus can be found in different markets under different names.” The cider is called Orchard Thieves in Ireland, Jabolčni Tat in Slovenia, Milo Kleftis in Greece, Lišiak zo sadu in the Czech Republic and Stibitzer in Austria. The 330ml apple cider is made from carbonated water, cider, sugar, natural aroma, malic acid and 45% apple juice concentrate, giving it an ABV of 4.5%. The current Strongbow range features an ABV of 4.5% for Apple Ciders Elderflower and Apple Ciders Dark Fruit and an ABV of 5% for Apple Ciders Gold Apple and Apple Ciders Honey. Somersby, the cider from competitor Carlsberg Malaysia, comes with an ABV of 4.5% for the entire range, which comprises Apple Cider, Apple Cider with a taste of Blueberry and Apple Cider with a taste of Blackberry. Both Heineken and Carlsberg are focusing on driving growth in the premium segment including cider. Heineken reported double-digit growth in the cider category in the first half of 2017 amidst a 12.1% fall in revenue attributed to higher sales in June 2016 due to expected price increase from 1 July 2016 and earlier sell-in timing for Chinese New Year in 2017. 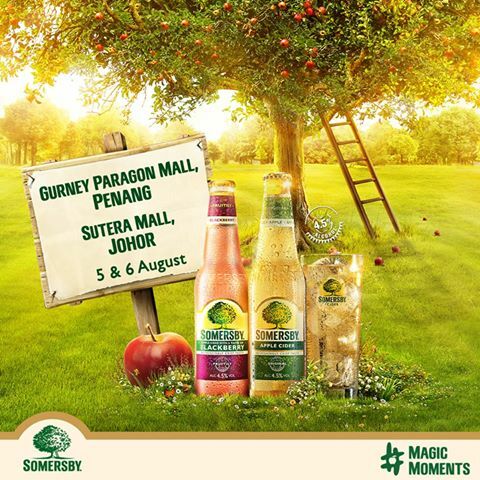 Somersby is the number one brand in the cider category in Malaysia and is actively marketing the product with innovative activation campaigns. Carlsberg derived around 20% of sales revenue in 2016 from the premium range of products including Asahi, Connor’s Stout, Kronenbourg 1664 blanc and Somersby cider. 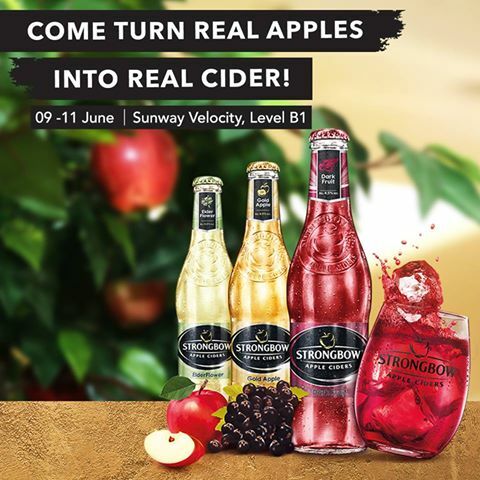 Both Somersby and Strongbow concentrate on acquiring new consumers through sampling and free drinks. 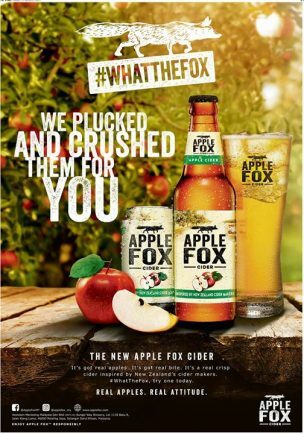 The new Apple Fox is available in 320ml cans and 325ml bottles in bars, pubs and restaurants as well as convenience stores, hypermarkets and supermarkets. Apple Fox is brewed and canned in Malaysia under supervision of Heineken Brouwerijen BV. 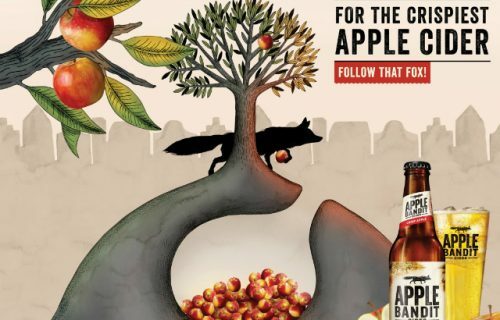 The introduction of Apple Fox by Heineken is interesting because it means there is a new choice for consumers in the fast-growing cider segment. Would Apple Fox cannabalise on Strongbow? It is still early days to tell. *All the images come from company websites. Author’s verdict: Apple Fox cider is simply delicious! Any alcohol content and how many percent?